We all record audio for different purposes on our devices. If you want to record the audios in a professional way you can use the software’s which are particularly dedicated from this purpose. 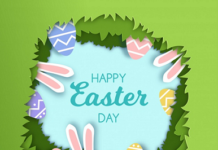 As long as you have the best Apps you can make these audio recording in a professional way. So, here we will discuss the Best Audio Recording Software For Mac, PC Windows. We will also include the features for these software’s mentioned which will help you in making the correct choice. GarageBand: If you are planning audio for music production then GarageBand is the best option. It is the Best Audio Recording Software for Mac. This is a digital audio station with many features and gives you the best level of compatibility. It is free software and supports MIDI recording and editing and give you a scope of the outbox. This can also be used in iOS devices. Though it has dedicated mode for the voice we can choose the type of voice recording. 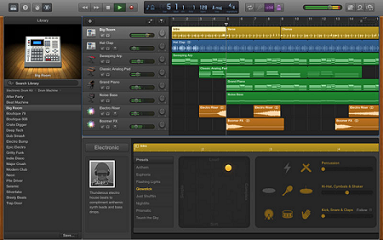 GarageBand is complete software for audio recording. It comes with the built-in audio editing features. This gives the professional output of your audio works. Audacity: A free open software for the recording purpose in Mac and Windows 10. This can be used for audio recording for your YouTube channels. Audacity comes with the best pack of editing tools. We can choose the recording source, the channel along with audio type. Though it does not have a wider range of control it is the best option. The user interface is simple and can be understood easily. Audacity has the great advantage of cross-platform. 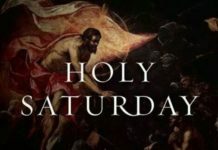 It is available for Windows, Mac, and Linux also. It has the many recording and editing options for your audio. This gives you the professional feel while recording and listening to audio. This is completely free and open source software. Audio Hijack: Searching for the advanced featured software for audio recording, then you can use Audio Hijack. 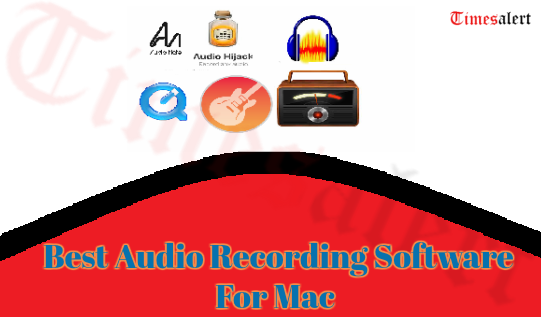 It is a Best Audio Recording Software For Mac. This is a total package of many control tools for recording. We can record every type of audio from your Mac device using Audio Hijack. You can also use this software to record from web sources. It comes with different templates like internet radio, DVD Audio, and Web Audio. It has an easy interface so we can use the software without any problems. There is a number of built-in options for filters and sound effects. You can manage the recording process work. 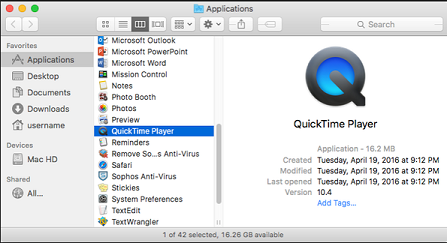 QuickTime: An in-built software which comes with your Mac Operating System. It is used mainly for video or audio playing but we can also record audios. This is very easy to record audio with its user-friendly interface. We can change the recording quality with the High and Maximum options. Just tap on the record option and your audio recording will start. 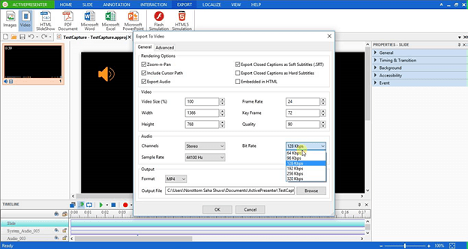 We can also export the files in the form of MPEG-4 audio files. This is very user-friendly software in Mac. There is no need to download this software as it comes built-in. We can record from various sources like an external Mic. Ardour: Another Best Audio Recording Software 2019 for PC to edit or record the audios. Ardour has the professional interface but will become easy when get used. This software is used by professionals like audio engineers, musicians, and soundtrack editors. It has enhanced recording options that will make your audio great. There are many advanced options for editing and mixing. 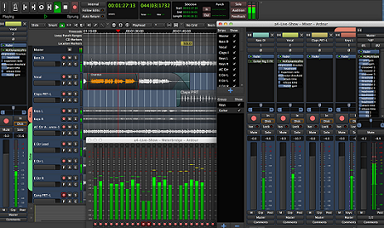 Ardour has a multi-track recording option. We can mix the tracks and make it more interesting. One can mix the MIDI projects very easily in this software. 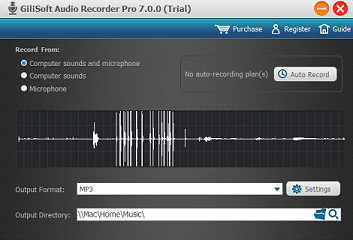 Simple Recorder: The very easy software to record the audios in Windows and Mac. Simple Recorder has a very simple user interface and you can start the recording with just one click. The menu bar of the software is very well designed and easily understandable. This can also take quick notes in the form of audios. We can manage all the audio recording action from the menu bar itself. This has the standard customization and supports different sources. You can select the recording source in Simple Recorder software from options. We can also set up the volume option to be low or high. You can pick your preferences like recording format, Sample rate, and channel. Audio Recorder Pro: The best audio recording software for Mac. You can record music from different sources. We can record the audio of YouTube, Napster, Rhapsody and many more. This is very easy to use and has a simple interface. 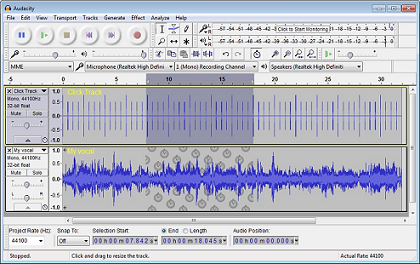 The software has the menu of various editing and recording options. We can make the multi-task performance using Audio Recorder Pro. There are many advanced features which will differentiate it from the other Software. We can split the recording using the splitter function. Recordings are possible from different sources. It has a simple user interface with great performance. 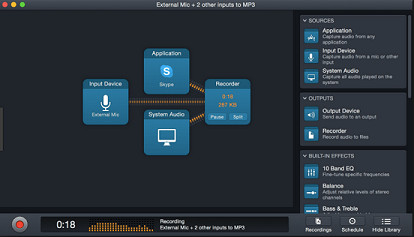 Piezo: A wonderful audio recording software used for Mac devices. Even Piezo record the audios from chrome, Skype, and FaceTime. This software will give you the precise outputs of an audio recording. 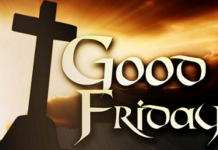 The software is very easy to manage and can also change the quality of the audio recordings. All the recordings are saved in the MP3 format which is very comfortable. Very easy to use with a friendly interface. The presets in the quality will help you to record audios quickly. This also supports recording from individual apps. 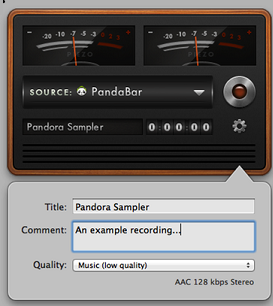 Macsome Audio Recorder: The only recorder which can perform all editing and recording options. This will act like one place software for all your purposes. Macsome Audio Recorder brings all professional features and makes your audio files interesting. It is free software and all these advanced features come to you when you download this software on your device. The recording can be started with just one click. That is because of its easy interface. This is simple software but works very effectively. 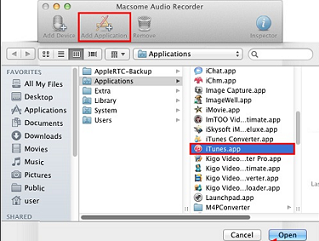 Macsome Audio Recorder supports recordings from individual Apps. AudioNote: The name of the software came from its ability. This will combine your note-taking and audio recording. There are other apps dedicated to them separately can be erased. You can record the things when there is no scope to note it down. 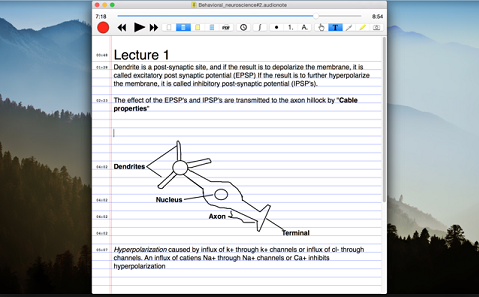 When you make notes on the screen it will be synced to audio file automatically. It is very easy to interface and use the software. This is a good way to record and note things at a time. We can convert the note to a PDF format and export. These are the Top Best Audio Recording Software for Pc Windows and Mac which gives you the best outputs and editing to your audio clips. Most of these are used by professionals. So, these can give you the best results and satisfy with all their features. For more updates on Best Apps check Timesalert.